Tributes have been paid to Arnold Mouat, whose body was found in his home on Sunday, four weeks after he was reported missing. 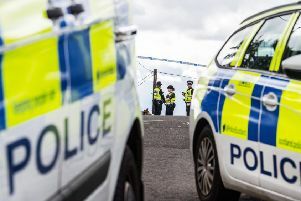 Searches had taken place across Bo’ness and beyond in the hope of finding the 64-year-old alive. Members of the public joined Police Scotland in searching for the keen walker. Mr Mouat was last seen around 11.30pm on July 6 in his Panbrae Road home. Last Friday, police issued an ‘anniversary appeal’ four weeks after Mr Mouat went missing. Then shortly before midnight on Saturday it was announced that a body found in the Mouat home that afternoon was believed to be the missing man. The grim find is understood to have been made by a family member in a stone-built garage at the back of their home – a building already searched by officers. The force has now referred the matter to the police watchdog. The Mouat family only moved to Bo’ness three years ago, living in an impressive detached property next to Bo’ness Old Kirk, having previously lived in Shetland, Aberdeen and Wales. Neighbours spoke of a quiet man who was regularly seen out walking.